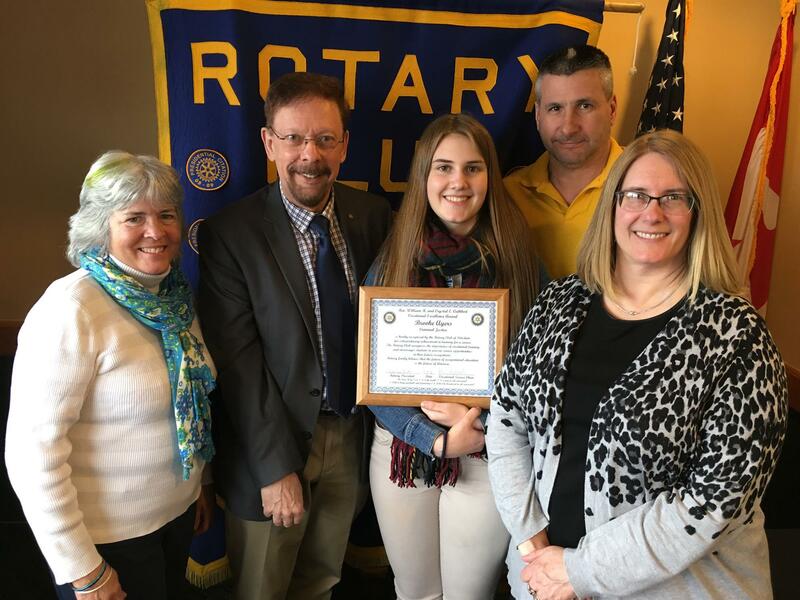 Brooke Ayers of Parishville-Hopkinton Central School, a student in the Criminal Justice program at BOCES Seaway Tech, is the Rotary Club of Potsdam BOCES Student of the Month for February. At a Rotary luncheon honoring Ayers, she met with Potsdam Rotarians and was commended for her academic excellence by Seaway Tech School instructor Juddy Plumb. Left to right: Potsdam Rotary President Mary Sue Foster; Rotary Vocational Service Chair Paul McGrath, Ayers, Plumb, and Colleen Ayers, Brooke’s mother.